Ukrainian Championship 2016/17. 9th round. September 24, 2016. Lviv. Arena Lviv. Att: 1,678. 12oC. Paulo Fonseca made another personnel rotation. As many as five new players appeared in the starting line-up compared with the game against Vorskla. From the off, Taras Stepanenko, Viktor Kovalenko, Bernard, Facundo Ferreyra and Olexandr Kucher, who replaced the injured centreback Yaroslav Rakitskyy, appeared on the pitch. Fred missed the game due to the yellow cards earned. Already in the 5th minute, Shakhtar could open the scoring. Bohdan Butko excellently burst into the opposing penalty area and fed Taison. The Brazilian produced a powerful shot, but the ball went out of bounds off a defender. After a corner, Viktor Kovalenko could get his name on the scoresheet, however, targeting the far corner, Shakhtar’s number 74 was a bit inaccurate. The Orange-and-Blacks orchestrated their attacks through the right wing, where Butko operated actively. On 20 minutes, the defenders of Volyn were close to scoring an own goal. Shortly thereafter, the Pitmen created the most dangerous chance near Lutsk’s goal. Taison struck powerfully from long range, with the keeper catching the ball, bu tFacundo Ferreyra was the first on the ball. The Argentine passed it to Viktor Kovalenko in midfield, whose one-touch volley hit the bar. By the way, Ferreyra found himself in the spotlight three more times before the break, still failing to score. On 33 minutes, his header was saved by Artem Kychak. 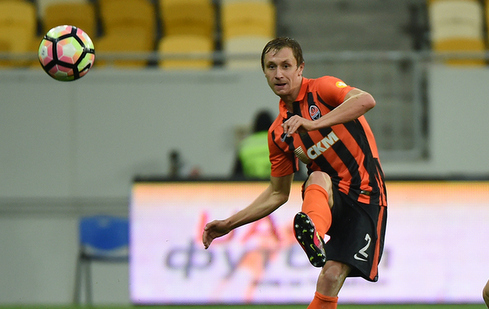 Nevertheless, the players of Shakhtar managed to translate their advantage into a goal. Volyn goalkeeper failed to stop Bohdan Butko’s cross on 41 minutes and netted an own goal. Despite a great chance of Maksym Malyshev, who struck from near the 11-metre mark, the sides left for the break at the 1-0 score in favour of the Pitmen. The game pattern did not change. A cross by Bohdan Butko could be successful again, but on 52 minutes Facundo Ferreyra could not beat the goalkeeper from close range. Immediately afterwards, Viktor Kovalenko put the Argentine through on goal only to see the ball go just inches wide. But on 60 minutes, nothing prevented the Orange-and-Blacks from extending the lead. Bernard delivered a corner, with Maksym Malyshev extending it to the far post, where Ivan Ordets headed one home to make it 2-0. Midway through the second half, Paulo Fonseca made a few substitutions. Taras Stepanenko, Taison and Facundo Ferreyra left the pitch. Marlos, Dentinho and Andrii Boriachuk, for whom it was the Premier League debut, appeared instead. 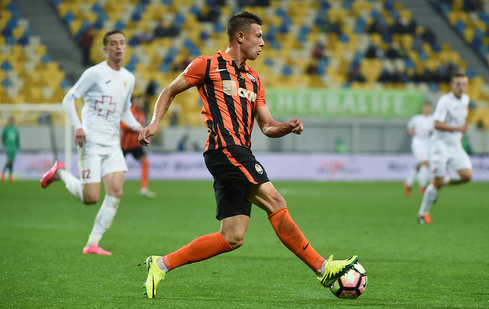 The 20-year-old graduate of the Shakhtar Academy marked it with a great goal. On 78 minutes, Boriachuk reacted to Bernard's cross and backheeled it into the back of the net. We have to admit that throughout the match the Donetsk players had an overwhelming advantage over the opponents and deservedly claimed a big win. The Pitmen will play their next game on 29 September. In the Europa League group stage round 2, Shakhtar will play Braga at the Arena Lviv. The meeting kicks off at 20:00.